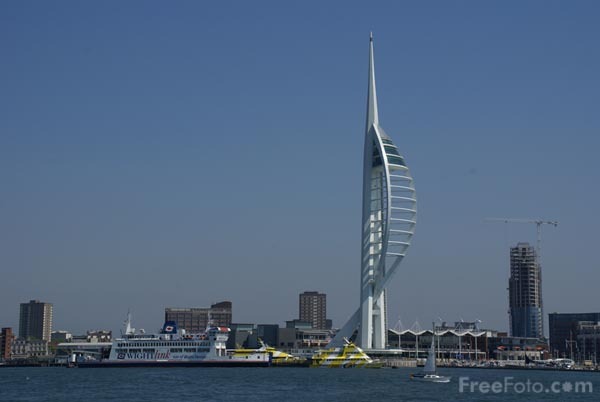 Picture of the Spinnaker Tower, Portsmouth, Hampshire. The Spinnaker Tower is a 170 m (558 ft) high tower which is 2.5 times higher than Nelson's Column, making it the tallest accessible structure in the United Kingdom outside of London. VIEW: More images from the category Portsmouth, Hampshire or taken at the same location or around the same time .